Finnish furniture brand Artek is launching production versions of its Bambu furniture range at the Stockholm Furniture Fair next week. The range, designed by Artek Studio/Henrik Tjaerby, consists of a chair, dining table and coffee table made of laminated bamboo. Prototypes of the pieces, which have been modified for production, were shown last year in Milan during the furniture fair and at 100% Design in London. 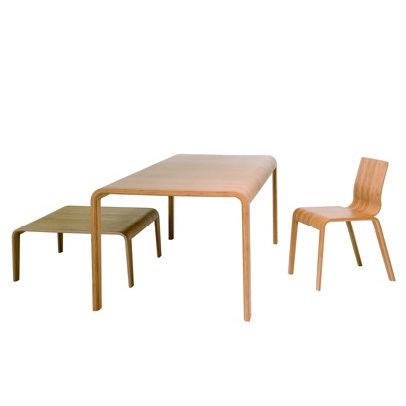 Artek was founded in 1935 by a group led by seminal Finnish architect and designer Alvar Aalto. It is now owned by Swedish investment group Proventus, which also owns the Tom Dixon design brand. Dixon is creative director of Artek. The Stockholm Furniture Fair takes place in the Swedish capital from 7-11 February.